When someone smiles, the effects are often positive: a glum mood lifts; an apology is accepted; a deal is struck; a flirtation begins. But change the circumstances or the cast of a smile, and the terms shift: a rival grins to get under your skin; a bully’s smirk unsettles his mark. 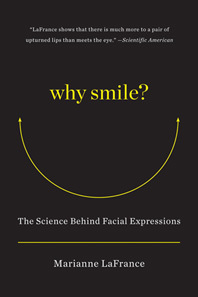 Marianne LaFrance, called the world’s expert on smiles, investigates the familiar grin and finds that it is not quite as simple as it first appears. LaFrance shows how the smile says much more than we realize—or care to admit: not just cheerful expressions, smiles are social acts with serious consequences. 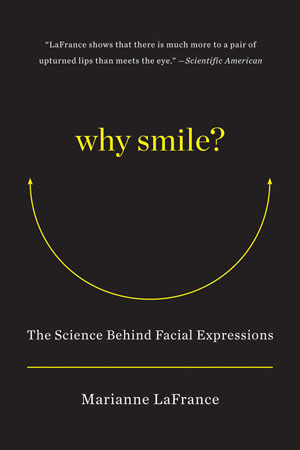 Drawing on her research conducted at Yale University and Boston College as well as the latest studies in psychology, medicine, anthropology, biology, and computer science, LaFrance explores the compelling science behind the smile. Who shows more fake smiles, popular kids or unpopular kids? Is it good or bad when a bereaved person smiles? These are some of the questions answered in this groundbreaking and insightful work. To read it is to learn just how much the smile influences our lives and our relationships.